Our team supports your team. Barbara McCarthy is the dedicated and knowledgeable trainer who oversees all horse operations at Majestic Farm. 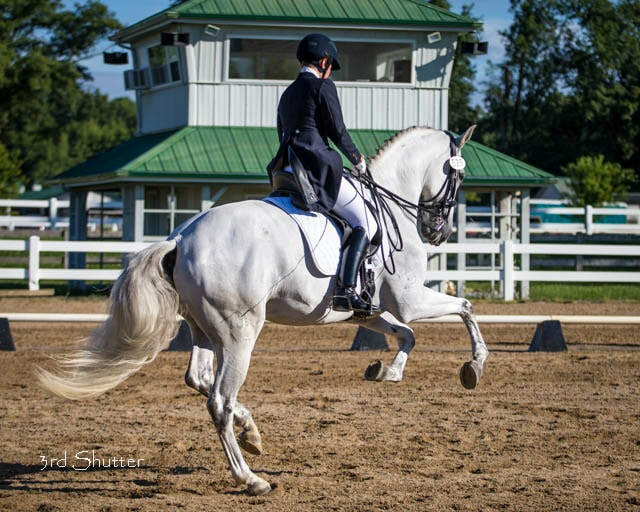 She creates a community spirit by managing ten USDF/USEF Dressage Shows per year, along with schooling shows. In addition, she expands the Majestic community by sharing our wonderful facility with many MVPC camps and USMGA competitions and conventions. Barbara lives and breathes horses on a daily basis through training and instruction. She loves to share her 45 years of experience by directing two drill teams, giving riding lessons, and being involved in North American Junior Young Riders, Pony Club, and 4-H. She also enjoys sharing her extensive knowledge with outstanding trainers of the future. Elliott started her riding career at a very young age. She got her first American Quarter horse when she was 3 years old and fell in love! She showed on the AQHA circuit all of her childhood gaining multiple Congress and World Show top 5 titles as well as national ranking and titles in the Hunter under Saddle and Equitation. She is now at Majestic Farm where she is furthering her riding in dressage and jumping. Four-time participant and three-time Team Silver medallist for Region 2 at the North American Junior and Young Rider Championships. For more information about training with Brittany, please contact her at (513) 607-3081 or click here to email her. Moira has had a passion for horses since the age of 3 and has 10+ years of experience showing hunters, jumpers, and equitation horses. Growing up, she has won many awards through both the Kentucky Hunter Jumper Association and the Ohio Hunter Jumper Association starting with ground poles and moving all the way up to the 3’6 jumpers. She has recently returned from an internship working and traveling with a number of A Circuit Hunter/Jumper show barns in the south and is now ready to further her career as part of the Majestic Farm team!